Stress is the body's response to physical, mental, or emotional changes, situations, and forces. Stress can result from external factors or from internal factors. Stress often occurs in response to situations that are perceived as being difficult to handle or threatening. Common causes for stress include illness, injury, fear, and anxiety. Each person reacts to stress differently. A healthy response to stress begins quickly is appropriate in degree and in length and can improve function, motivation, and productivity. Stress is an innate reaction embedded from our caveman days. Back then humans had to deal with threatening situations, which caused our brains to release a range of stress chemicals such as cortisol and adrenaline to provoke what is known as the fight-or-flight reaction. The fight reaction would give us a burst of energy, ready to fight for our lives, while the flight reaction would encourage us to flee from danger and protect ourselves. Stress happens because is part of being alive. We all experiences stress even our pets. Stress is there to keep us alert there are two main types of stress short-term stress and long-term stress. Short term could be when there is a fire you flight or fight response will turn on. You will either stay there of look for your safety. A long-term stress could be the stress that you might deal with a lot of the time from work to your home. It is the complex problems that it seems you can never get rid of them. 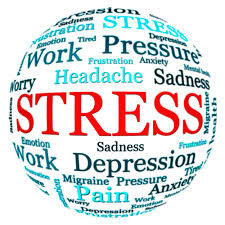 Psychological Counseling and Guidance & homoeopathy treatment helps for stress.